3 Things You Must Know About Muscle Building! Muscle building can be very difficult. Especially when it comes to packing on the muscle without packing on the fat. Before you get discouraged check out these 3 things to know about muscle building! One of the keys to gaining muscle and weight is to consume more calories. By cycling your training through different stages, you will start to get closer to your goals. For every 4 lbs of mass you build, you will probably accumulate about 1-2lbs of fat. I Am Going To Keep This Nice And Simple And Base It On Personal Experience Because In The End I Believe Your Own Personal Experiences Are The Best Way To Measure Any Kind Of Results. Well let's think about this question for a moment. First, understand that your body is more than content with staying exactly the way it is right now. It would rather not change and it is programmed to be this way after thousands of years of evolution. This means that to make any change in our body's composition, we are going to have to 'coax' it or persuade it in doing so. So for today's purpose, building muscle, how do we persuade our bodies to do this? Well we have to give it a 'reason' to grow! 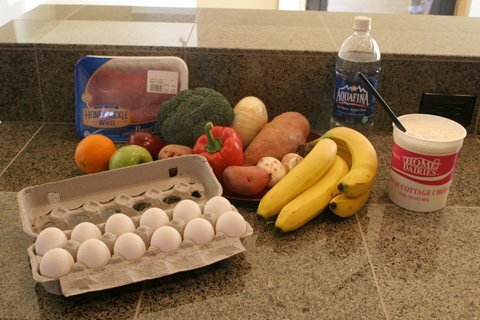 One of the keys to gaining muscle and weight is to consume more calories. The reason we want to give our bodies more calories is because if we are going to demand more out of them than what they are accustomed to, then we need to feed them with more fuel. Think of it as if you want to travel further in a car. If one tank of gas gets you so far but you want to go further, you need to have more gas right? It's the same for building muscle. Feed it more so you have more energy to push it into spurting new muscle. Now without going into excruciating details (which is not the point of this particular article), you cannot simply overfeed on junk food. Make sure you are eating lean proteins, complex carbohydrates and healthy fats. Make Sure You Are Eating Lean Proteins, Complex Carbohydrates And Healthy Fats. 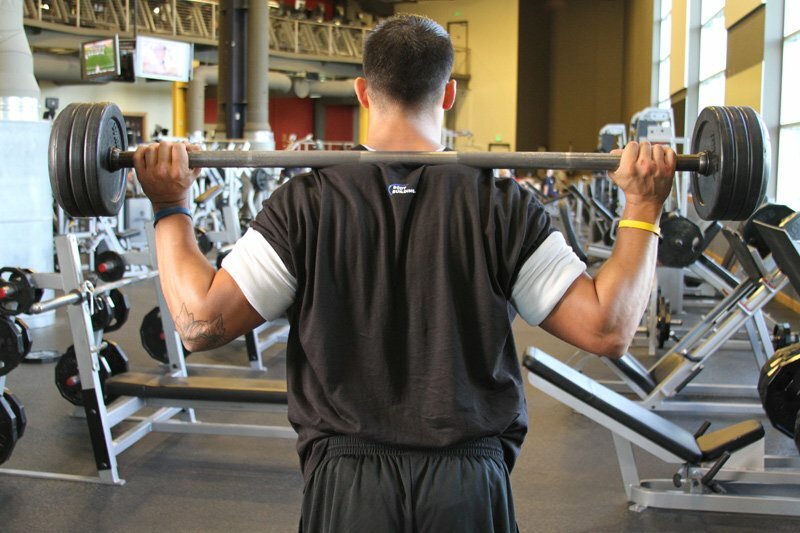 To put it simply, you need to start progressively overloading your body with some form of resistance training. Honestly, do not get too concerned about finding that 'special' program that will be better than all the other programs out there. There are just too many training programs to try and choose 'the best' one. With Some Form Of Resistance Training. This is not to say that you can just keep getting stronger to the point that you will be performing 1000lb bench presses, but by cycling your training through different stages, you will start to get closer to what your genetic potential for muscle mass really is. Eventually the gains will get harder to come by, but if you are just starting out, this will not be an issue. By applying the right factors for muscle building, you will start to gain lean mass and you will start to gain weight which is good because that is the goal we are after. However, you need to also accept that when you are gaining muscle that it is almost impossible not to gain a bit of fat while doing so. Now I know there are going to be a lot of people claiming that it can be done but in my experience these are people who are genetically gifted and they are the exception to the rule. Other people who tell you this may be people trying to sell you something. Finally, you can gain eliminate fat gain by gaining muscle at a slower rate. Your 12-Week Daily Bulking Trainer - Wednesday, Week 12: Tracking Your Progress And Tweaking Your Diet! Your 12-Week Daily Bulking Trainer - Wednesday, Week 12: Tracking Your Progress And Tweaking Your Diet. How Much Is A 'Bit' Of Fat Gain? Well for the most part, for every 4lbs of muscle or lean mass you build, you will probably accumulate about 1-2lbs of fat with this. Of course this is if you are doing everything right and eating relatively clean. Now you might be saying 'I don't want to gain fat!'. Just realize that the muscle you build during the course of your muscle building phase will be on your body permanently provided you continue training and eating right. What you want to do is go on a muscle building phase for about 6 months or so or longer (it is up to you) then you want to go on a fat burning phase for a couple of months to burn off the accumulated fat and keep the muscle! See how that works? Just Realize That The Muscle You Build During The Course Of Your Muscle Building Phase Will Be On Your Body Permanently Provided You Continue Training And Eating Right. This is just the way it is and I have experienced this myself and it is not as bad as it sounds. Most people do this continually and they consistently add 5-10lbs of muscle each time they do this until they start to reach their maximum genetic potential. The good thing about doing this is you also get better each time you go through these phases and you start to optimize your gains and improve on your muscle to fat gain ratios. Just accept a bit of fat when gaining muscle and don't stress over it. It happens to all of us and you will certainly be more grateful for the muscle after it is all said and done. Keep it simple and always go back to the basics. In knowing about these 3 things, it should put your mind at ease and let you focus on training, eating and enjoying the journey. Mass Attack: 22 Proven Rules To Grow By! For the average bodybuilder, training, eating and resting will result in moderate muscle gain, an average physique. But if you don't want to be average and are looking for massive growth, listen up to the following 22 rules to grow by! Astounding Three Day Workout For Mass! Are you frustrated with your current workout? Have you been at the same weight and same strength for months... or even years? This full guide will get you growing like crazy!